Myopia - is such an anomaly of view, in which people clearly see objects located far away. Another name for this disease, more common - myopia. If the image has to myopia does notset area of ​​the retina, on the contrary, it is located in a plane which is in front of it. That's why people with myopia perceive surrounding objects blurred. All this is due to the fact that there is a discrepancy with the length of the optical system of power. 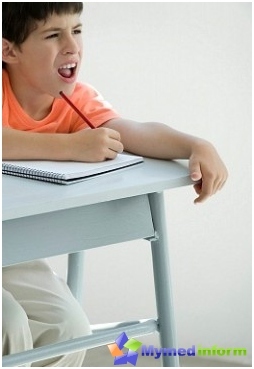 Most often, when there is an increase of myopia eyeball (the so-called axial myopia). Myopia, among other things, may alsoprogress. Myopia often develops due to three factors: a person commits a visual work at close range, heredity, and due to the weakening of the outer membrane of the eye. In this problem the physician to determine which of the above factors, and is a fundamental effect on the development of myopia, and to adjust the treatment to eliminate these causes as much as possible. In this disease, a person can see near perfect, but with objects at a distance is much more difficult. In fact it is quite a serious disease, as with myopia people may simply just in time "did not notice" the danger: the open hatch or approaching vehicles. In children, the visual system is always indevelopment. Appearing on the light, the baby can not boast of sharp vision, moreover, it has no connection between the right and left eye. Growing up, the kid gets more sophisticated visual system. Parents are very important to ensure that the vision is not decreased during the preschool years. To protect your baby, our website is stronglyrecommended to see to it that it is less time spent at the computer or watching television. If suddenly the vision began to deteriorate, it is necessary to visit a doctor, as this may spasm of accommodation. In the future, it can go in progressive myopia. Experts say that the most serious disease - it is amblyopia where the vision is reduced, despite the fact that a person wears glasses. Basically, progressive myopia occurs at school age when children are actively growing. The number increases yearly children who have vision decreases. When a child is in first grade. 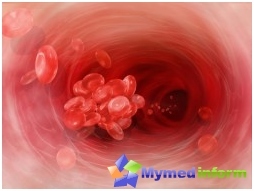 Today this period affects the age of five to seven years. Starting School - is not only exciting, but also an occasion to pay attention to health. The transition from elementary school to secondary. This age, about ten or twelve years, it is very important, as puberty begins. From puberty, and emotionally unstable behavior. Completion of high school. Fifteen to seventeen years: the exams, the prom and the beginning of student life. These three periods may be accompanied by the same symptoms: headache in the evening hours, fatigue, aftereye strain (reading, watching TV, working on the computer), there is a "pain in the eyes" - so children call fatigue and strain eyeballs. All this is very dangerous symptoms, since after their children often begin vision problems: in particular, its sharpness is markedly reduced. Today, it developed a variety of treatment of myopia. 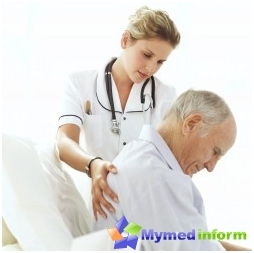 Besides prophylactic charge exists, that it is desirable to perform several times a day. Experts have even invented a computer program that can train vision. To correct poor vision, in particular,shortsightedness, today it is possible in two ways: by wearing glasses and contact lens. Using these optical devices may "force" to align the light rays and to make sure that they intersect exactly where should - as in people who have a vision of a wholly-owned. Unfortunately, neither glasses nor contact lenses never get rid of myopia. They can only improve vision for a while wearing these devices, no more. Currently, myopia can be cured. 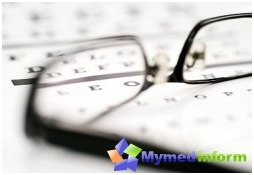 Today there are more than twenty methods of myopia treatment. laser Correction. The most effective, popular and safemethod. To it not only recourse for myopia, hyperopia and when, and astigmatism. The vision is corrected by changing the shape of the cornea using a laser beam. In principle, the procedure is simple, is performed in only a few minutes. With this method it is possible to even eliminate nearsightedness diopter 15.0. Laser correction allowed people aged 18 to 45 years, but the final decision still ophthalmologist. Lensektomiya. When the refractive lens replacement (lensectomy) doctor removes a transparent lens, and put in its place an artificial lens with a desired optical power. This method is used for the treatment of myopia up to 20 D. This operation is carried out mainly when a person can not clearly distinguish between items that are placed on it at different distances. Lensektomiya more complex operation, but it takes less than 20 minutes. Lens Implantation. 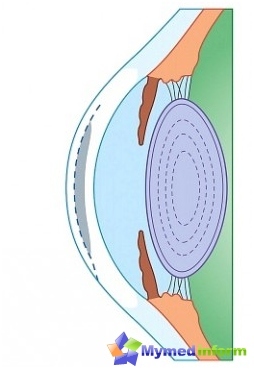 Due to factual lens implantation can cure myopia up to 25 diopters, while the lens itself will remain in place, but in the eyes of the camera (or the back or the front) put a special lens. Radial keratomas. By means of small radial incisions alter the shape of the cornea and its optical power, which subsequently improves vision. In this method, a lot of disadvantages, including: the duration of the recovery period, unclear prediction of the outcome, the likelihood of complications during exercise and so on..
Keratoplasty. With this operation, a corneal plastic that affect vision improvement. This result is achieved thanks to transplantation of the donor cornea (or rather some of its layers), and then its simulation. Why and why to stop growing "bumps" and "bone"
Adenoids: to delete or not?